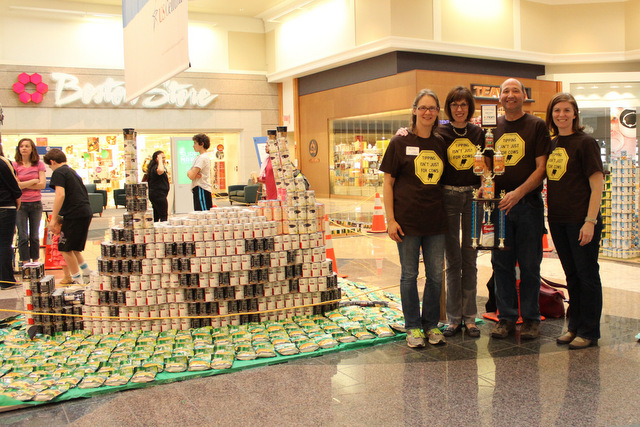 Congratulations to the winners of this year’s Canstruction Madison! 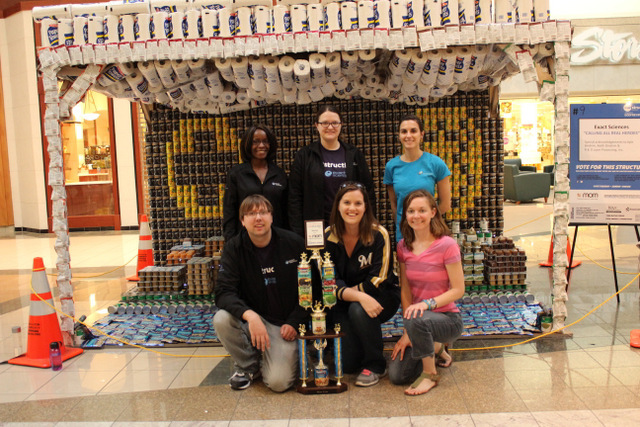 Because of their – and all of the teams – committments to this fantastic event, we are able to End Hunger in our community One Can at a time. Asbury United Methodist Church: COWstruction: Tipping the Balance on Hunger: Unlike cowtipping, hunger isn’t an urban legend! If we all work together, we can tip the balance and win the fight against hunger. Thanks to design expert John Gaska, Agricultural Engineer. CUNA Mutual Group: Spidey Spins his Web to End Hunger: – With great power, there must also come great responsibility. 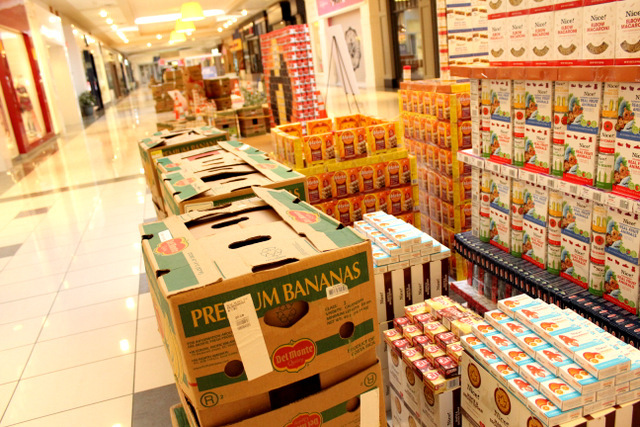 Let’s end hunger together! Thanks to Moreton & Co. for construction help, and our design team from Strang. 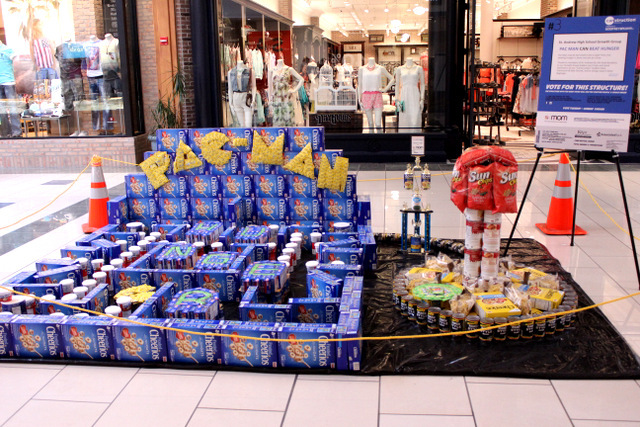 St. Andrew High School Growth Group: Pac Man CAN Beat Hunger: Pac Man may be too small to be a super hero, but beating hunger is done one can at a time. 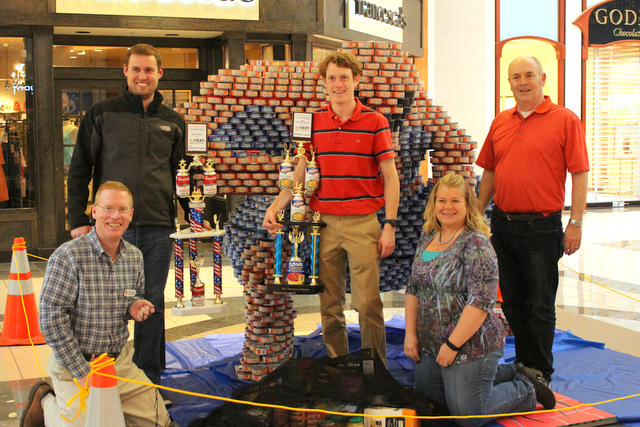 Thanks to members of St. Andrew for the food donation, to our Growth Group leaders Jon Fricke and Jared Dammann, to our “Canstruction” leaders Dave Hochmuth & Kate Dvorak, and to design expert Steve Beglinger. Walgreens: Skyscrapers and Superheroes! 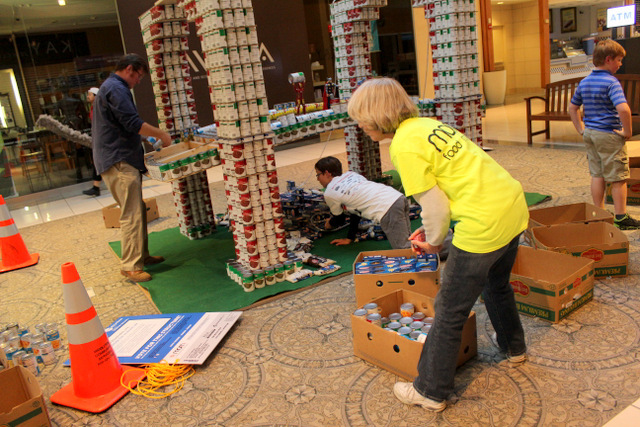 Helping to fight hunger in cities everywhere- makes us all superheroes! 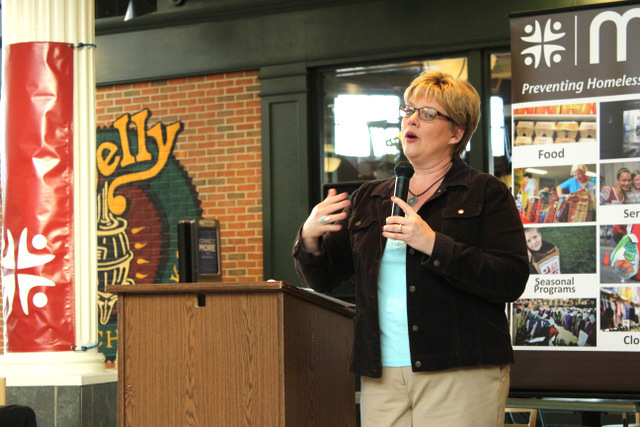 Exact Sciences: Calling All Real Heroes! Special acknowledgements to Kyle Bindrim and Keith Bindrim. 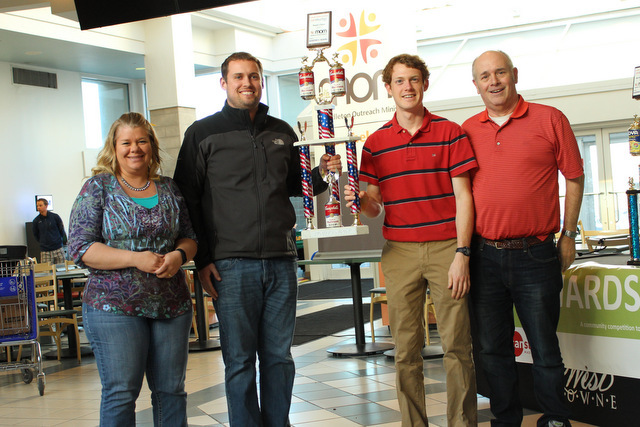 JMM SparCANs: The Madison Memorial SparCANs would like to help MOM checkmate hunger! Special thanks to the students of JMM for supporting our fundraisers. 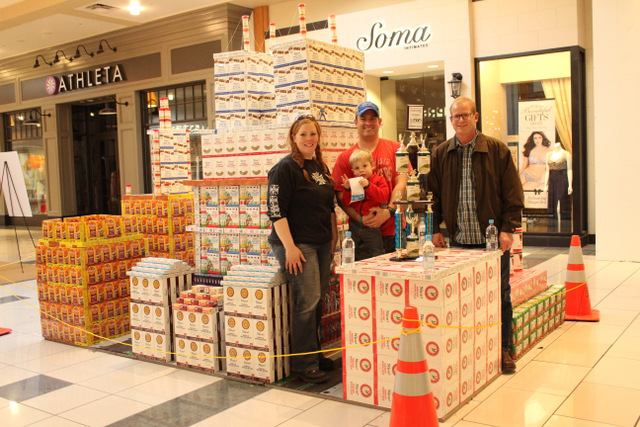 Our sincere thanks to Amy Carlson and NBC15 for their ongoing support Canstruction Madison! 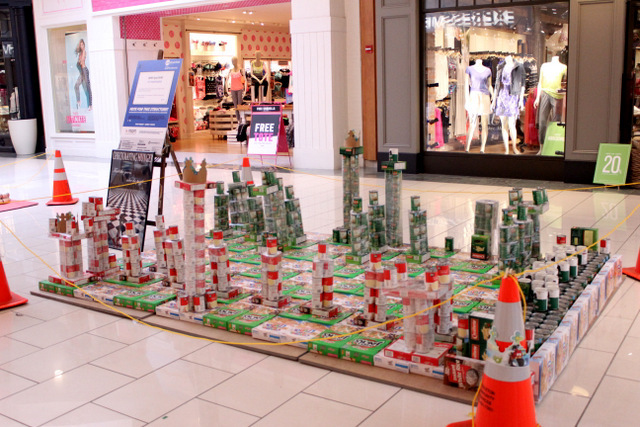 And now, the hopeful part of Canstruction Madison begins. 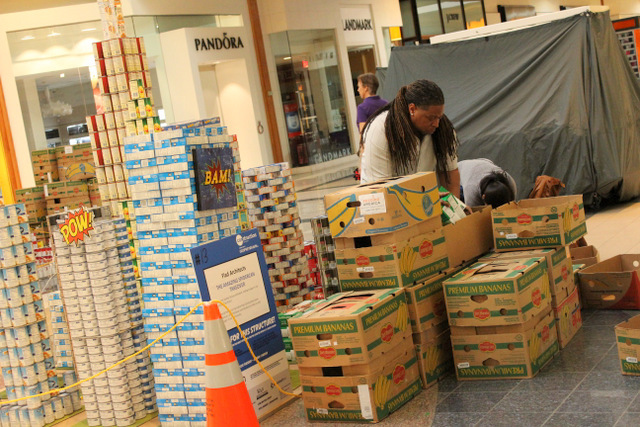 As the structures come down, every team can be proud of the work they have done to expand the outreach of MOM in the community during the past week at West Towne Mall, as well as the food that is heading to the shelves at MOM.